[Free Pattern] This Is One Stunning Afghan! Keep baby nice and warm with this simple and so cute 8 point star baby blanket. 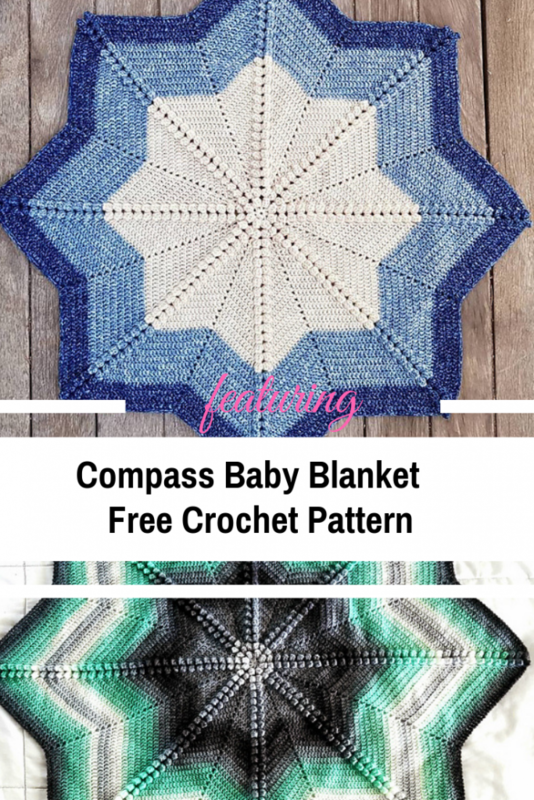 Compass baby blanket free crochet pattern designed by Buttonnose Crochet features the popcorn stitch in the star peaks. Every mom will treasure the time you took to make this fabulously beautiful blanket. This unique and so adorable pattern can be made in any weight yarn and can be made to any size. Great as a baby shower gift, this elegant and simple baby blanket is also the perfect gift for any occasion. This Awesome Mini Galaxy Of Change Baby Blanket Free Crochet Pattern Is Simply Stunning! Thanks to Buttonnose Crochet for the article inspiration and featured image. [Free Pattern] Pumpkin Cat Or Cheshire Cat? These Coasters Are Grin- Amazing!